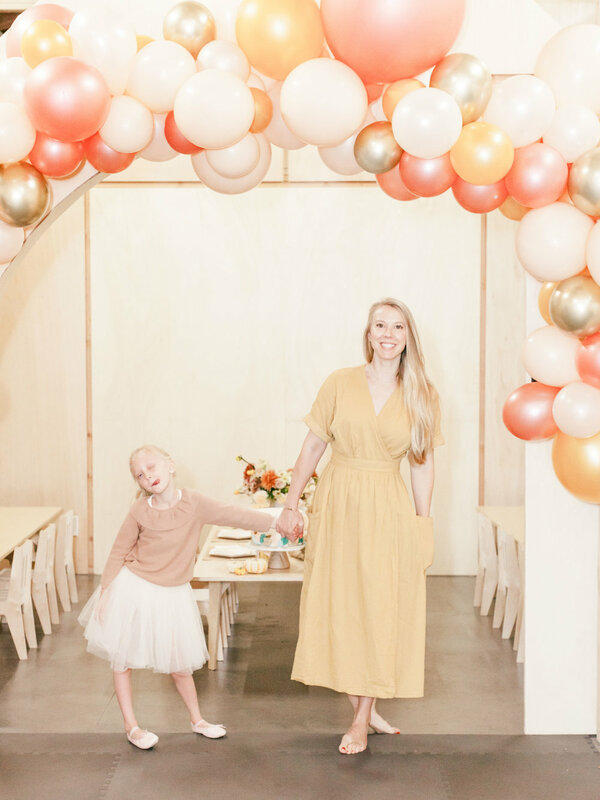 When we were first alerted to modern playspace Big and Tiny's opening in Santa Monica, we headed over to their Instagram page and immediately knew we HAD to shoot a Thanksgiving playdate in this space. 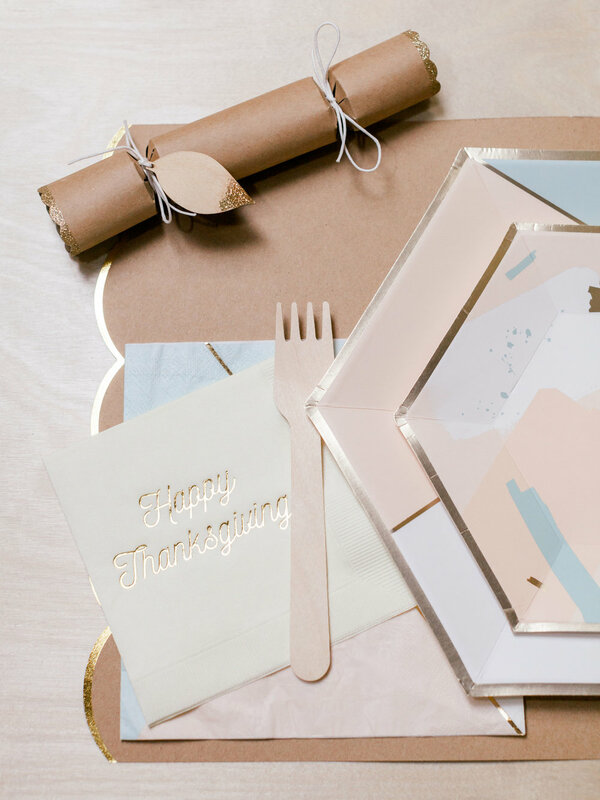 The neutral wood tones and soft blush and blues found throughout the playspace lent themselves to a palette perfectly suited for the holiday. Plus, who doesn't love a wall full of tiny treasures? Also fans of this co-working and learning center? Our kiddos—who couldn't get enough of the slide and jumping into a sea of white and grey balls! They had a blast hanging out in the tee-pee too, while giving us the sweetest smiles we have ever seen. 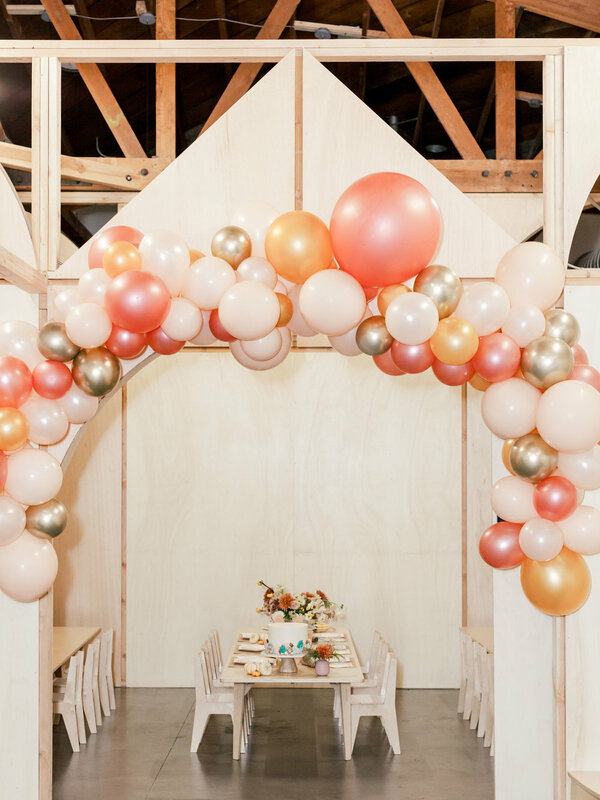 Speaking of things that are smile-worthy, we're couldn't have been happier with the rose gold and blush balloon garland that hung over the coolest arched doorway leading to the kid's party area. 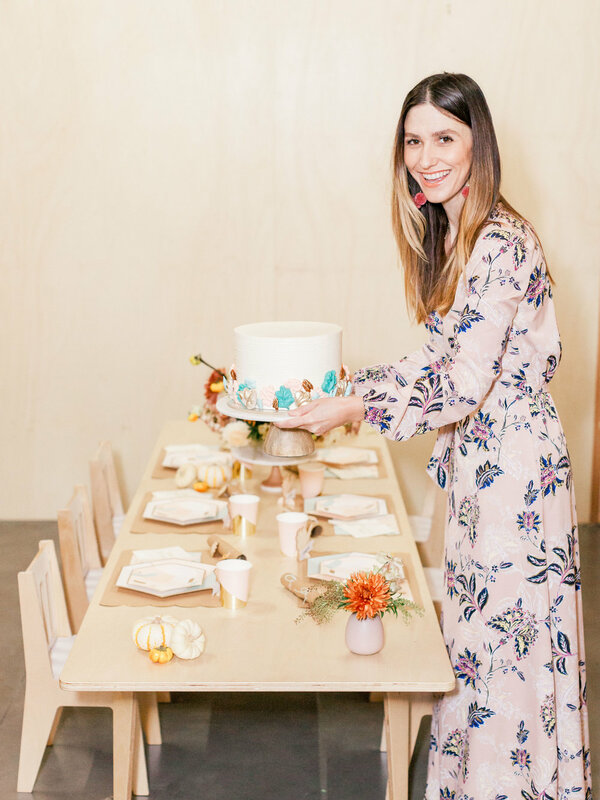 We set the table in the party space with pieces from Harlow and Grey's Desert Rose collection, which are nearly the exact same colors as the space itself! 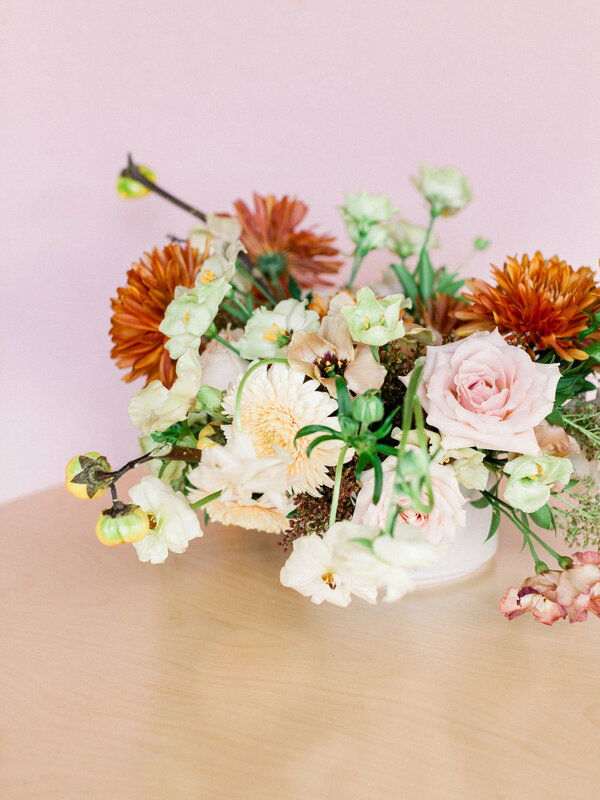 The florals from 12th & Olive were absolute show stoppers, so you can see why we feel compelled to share so many images of them! ... and these cute turkey place card holders. 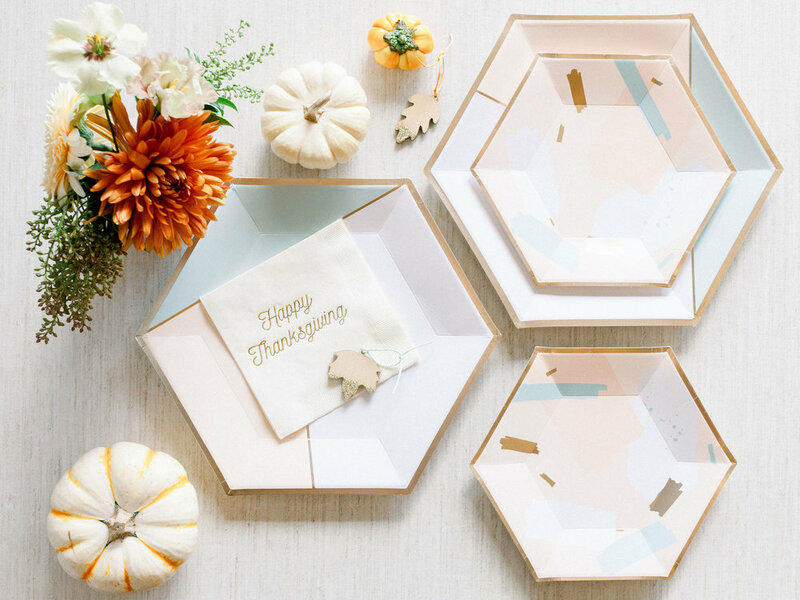 If there is one holiday that begs for a cracker, it is Thanksgiving! 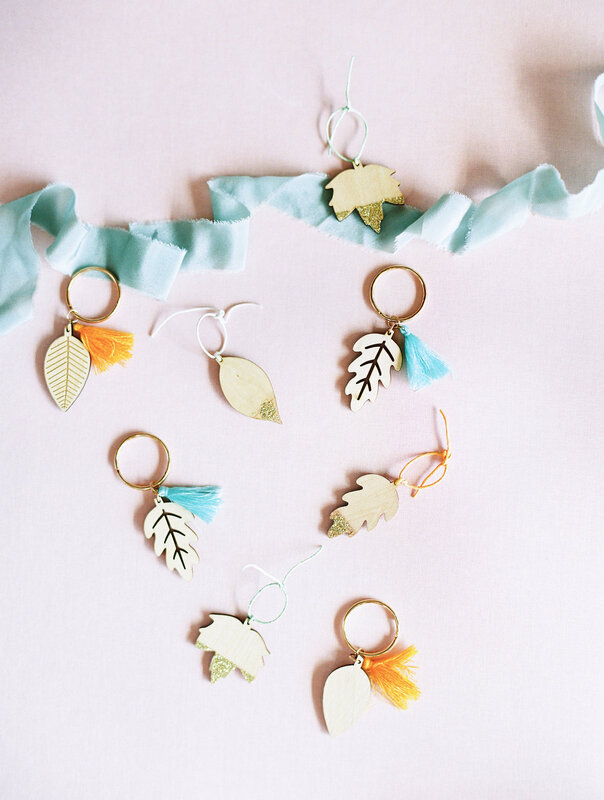 With these cute autumnal keychains inside, who could resist?! 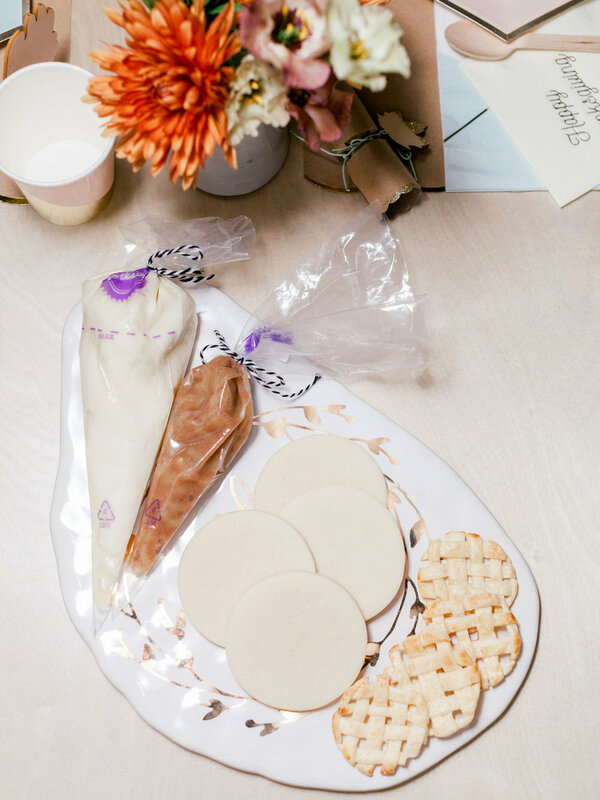 And what dinner would be complete without dessert?! (None that we want to attend!) 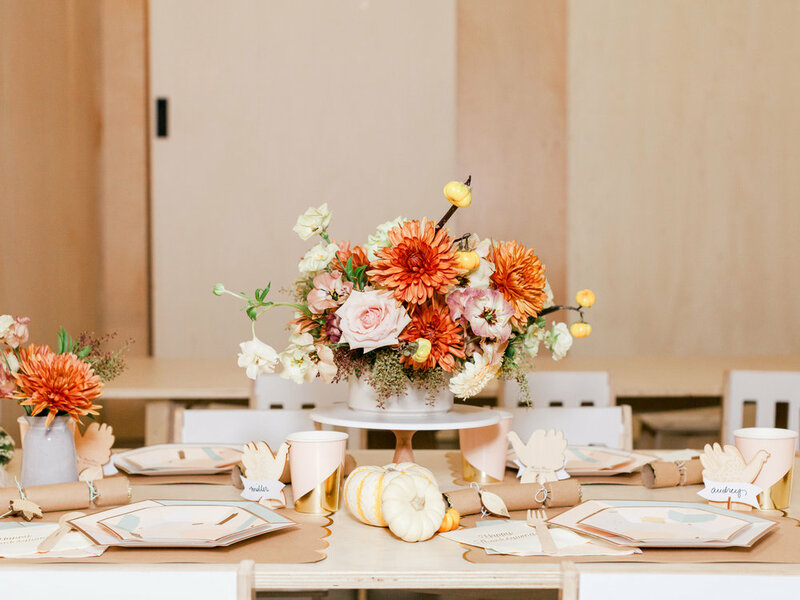 Our party featured two sweet treats that tasted like fall. 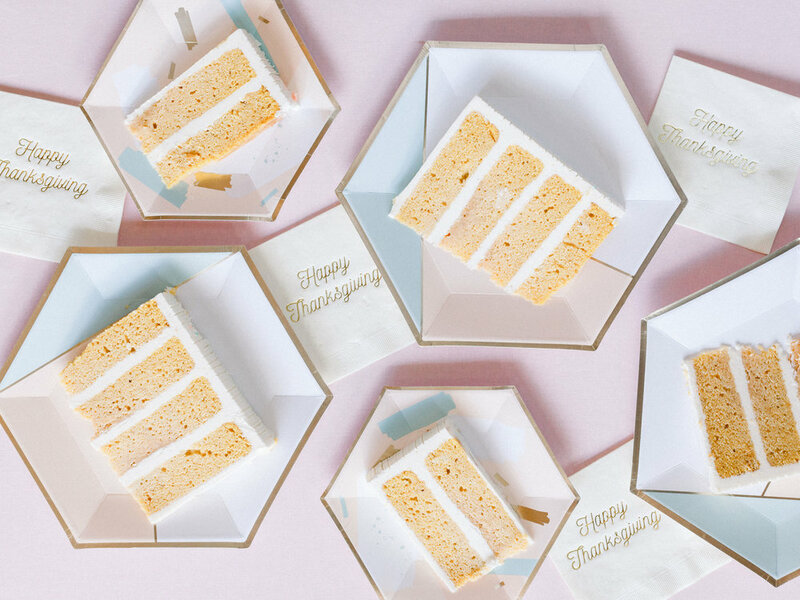 Josephine Los Angeles created a scrumptious pumpkin spice cake with delicate meringue leaves adorning its base. Have you ever seen a more perfect slice?! Emily from The Hutch Oven sent us deconstructed versions of her famous cookie apple pies for the kid's to assemble, and of course, gobble up! And just simply being together. Oui wish you a most bountiful and happy Thanksgiving!